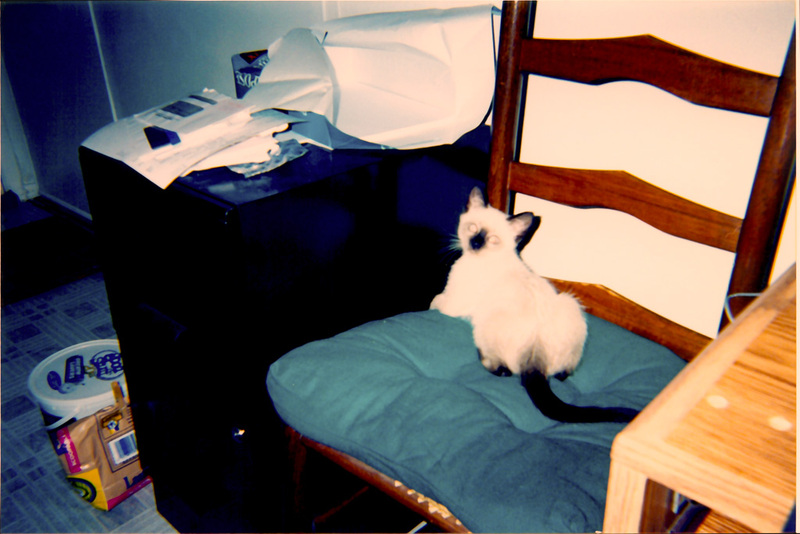 On an October day in 2002, I drove to my sister-in-law’s parents’ house to pick up my new kitten. Never having owned any pets besides fish before, I was scared I wouldn’t like being a pet-owner and would let this little creature down. I was the kid who was afraid of dogs for most of my childhood. I had never held a cat or a dog before. I stared down at her, shocked to see her clinging to my sweater with her little claws. She stared up at me wide-eyed. I hastily handed her to my brother. She was an amazing cat. Adorable, playful. She wasn’t loud, she didn’t bite or scratch. She barely shed and she only had one or two accidents when she was little. After a rough first trip, she became a champion traveler and went with me every time I went home to visit my parents. My mom and everyone else in the family fell in love with her. 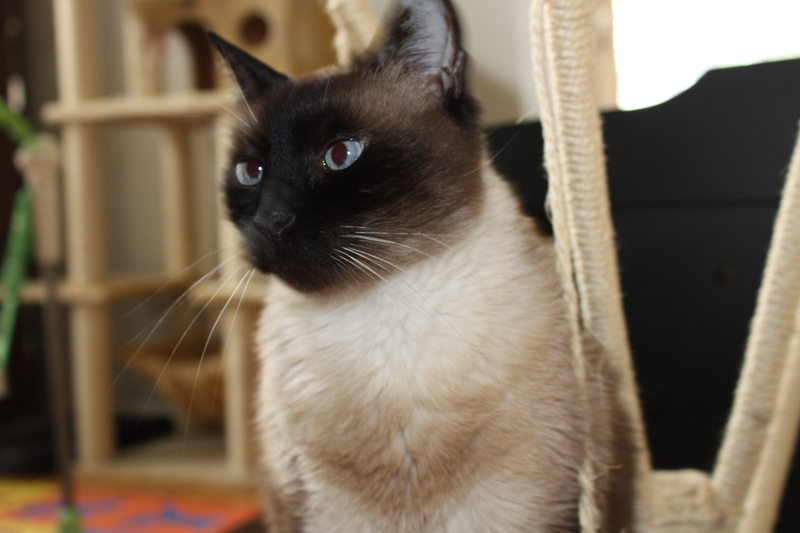 In fact, she is at least partly responsible for saving the lives of six other cats – my mom’s three, my other two, and my sister’s cat. She was so special that she converted people who hadn’t liked cats before. 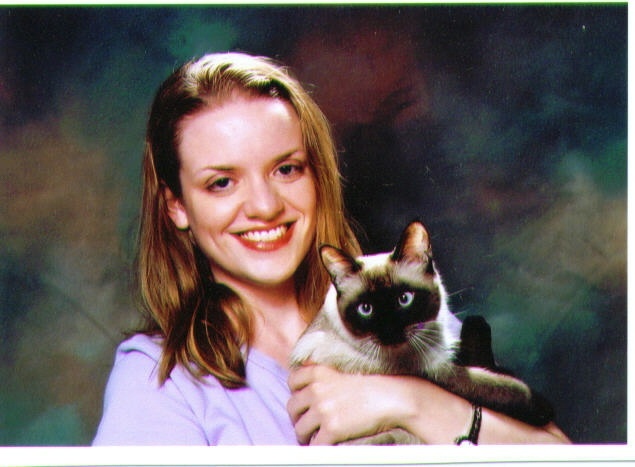 I was so happy with my Belle-cat. I bought her presents, spent hours petting her, made up songs for her. No, I’m really not kidding about that last one. 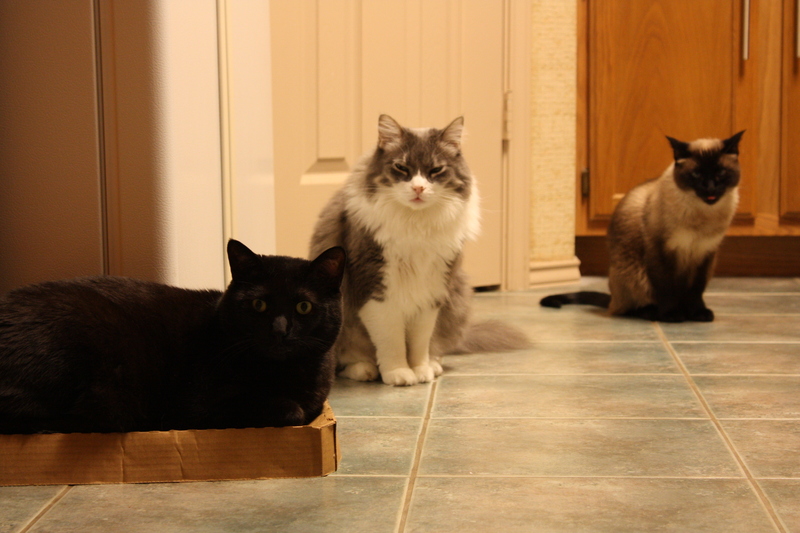 It was like “Gilmore Girls” except that one of us was a cat. It was just the two of us and we were just fine with that. It took me several months to really let myself fall in love with her, but she brightened my world right away. After deliberating for two weeks, I finally named her “Belle”, having gotten the idea from a commercial for the new “Beauty and the Beast” DVD. A name meaning “beauty” fit such a beautiful cat. 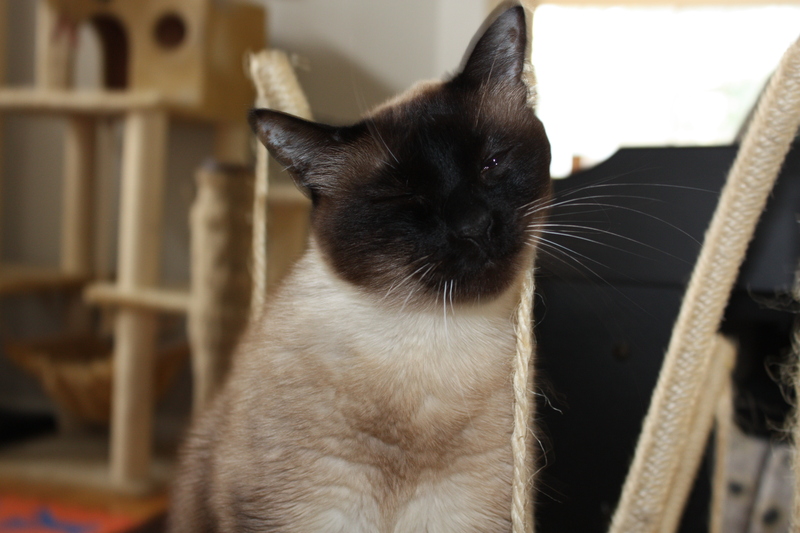 She was a chocolate point Siamese mix, mostly white at the beginning with her tiny face dominated by a big, black nose. However, it had taken me so long to name her that she thought her name was “Baby”. It took her a while to respond to her real name, but she always responded to “Baby” or “Baby kitty”. 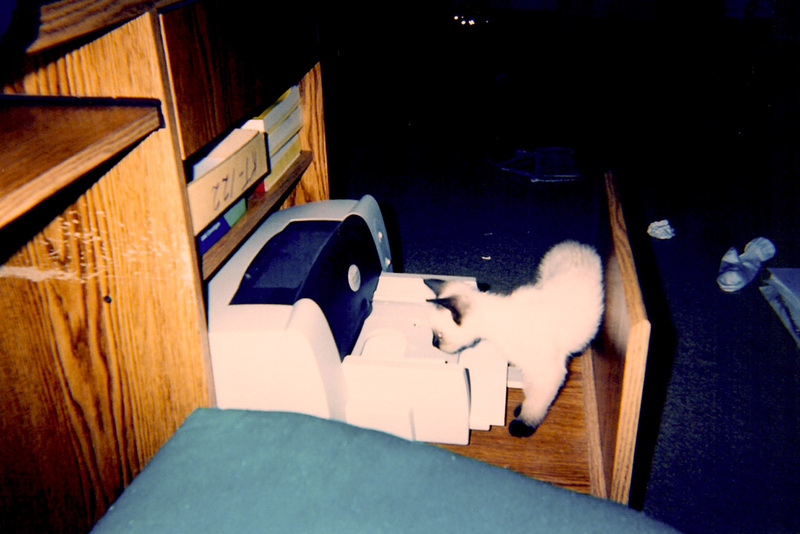 Belle loved to watch the printer. I was going through a very dark, difficult period and Belle helped me begin to dig my way out of it. It had been years since I had had anyone to come home to, anyone to take care of. She would come running when I came home from school and leap in to my arms purring. She would sit next to me on the counter when I put my makeup on in the morning. She sat on the edge of the tub (and drank the water) when I took a bath and curled up with me at night. I saw her face first thing in the morning and last thing every night. On December 17, 2010, she died. The vet agreed it was best to bring her home and we were together. It was just the two of us at the beginning and at the end. I’ve been trying for over a month to write about it and I still don’t really seem to have the words. My husband was gone on a business trip and she became very ill right after he left. So, I spent several days dragging my poor toddler to emergency vets and our regular vet, spending hours desperately trying to amuse him and spend time with my girl, knowing every visit and good-bye could be our last and knowing she deserved better. Wondering why this was the ending we were getting after eight and a half wonderful years. Wondering why we only got eight and a half years. Wondering why my poor girl was getting such a difficult ending. Blaming myself for not getting her help sooner. The guilt and grief made the first days and weeks very difficult. But I know Belle loved me and I did the best I could under very difficult circumstances. She was my first pet and she was a beautiful gift during a terrible time in my life. She helped bring me out of the darkness. Through her, I discovered my love of animals, especially cats. I am so blessed to have had her in my life and to still have my love for her and memories of her in my heart. 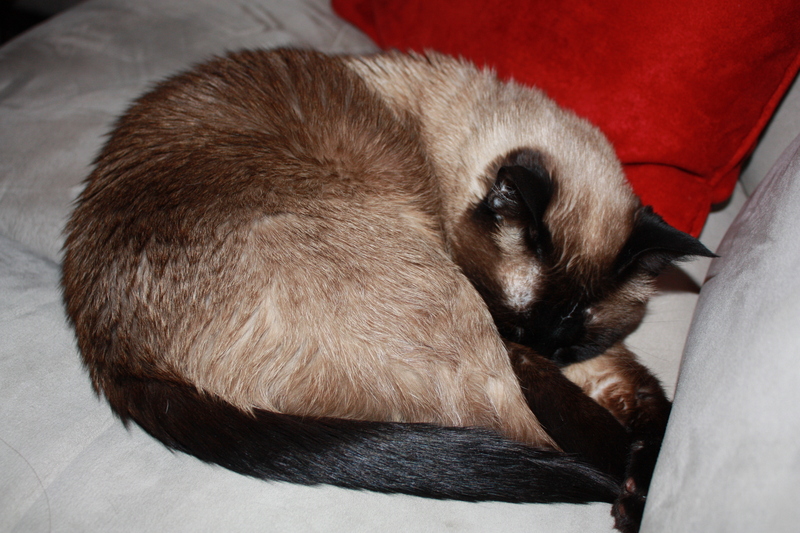 Memories of her little black tail curling to a point when she wrapped it around her as she slept. Of her sleeping like a human baby in my arms when she was a baby. Of her falling in the toilet and looking at me like it was my fault. Of her wiping her paws before she left the litterbox. Of the gentle way she would push your hand away if she didn’t want to be petted, rather than bite or scratch. 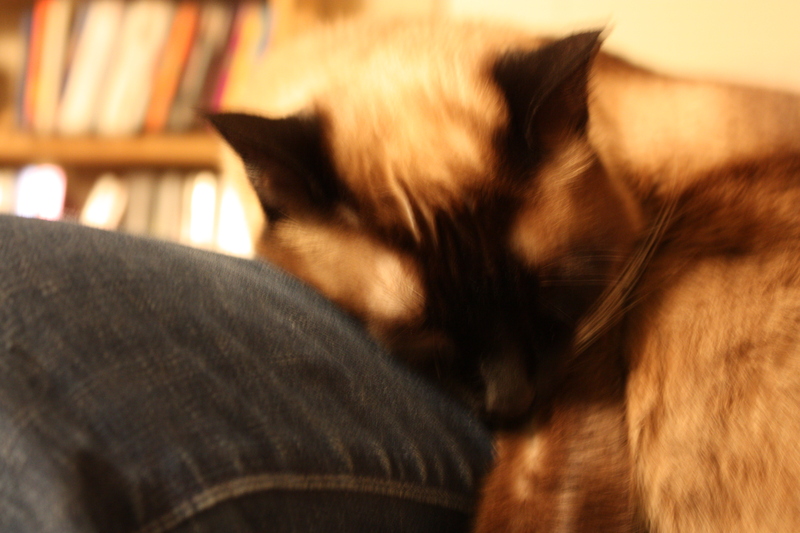 She was my only lap kitty, out of three cats, and she never gave up trying to sit there, not even when I was nine months pregnant, or nursing, or writing on my laptop. Thank you for your unconditional love, Belle. You changed my life. Know that I will always love you and will miss you forever. I am grateful and honored to have been your kittymomma. 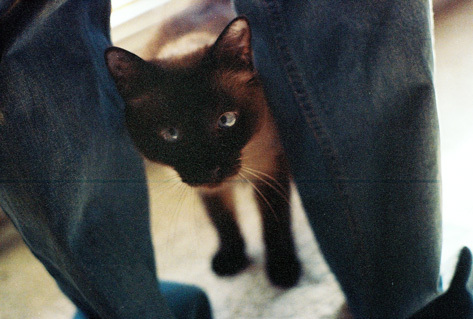 Belle hiding behind my legs. 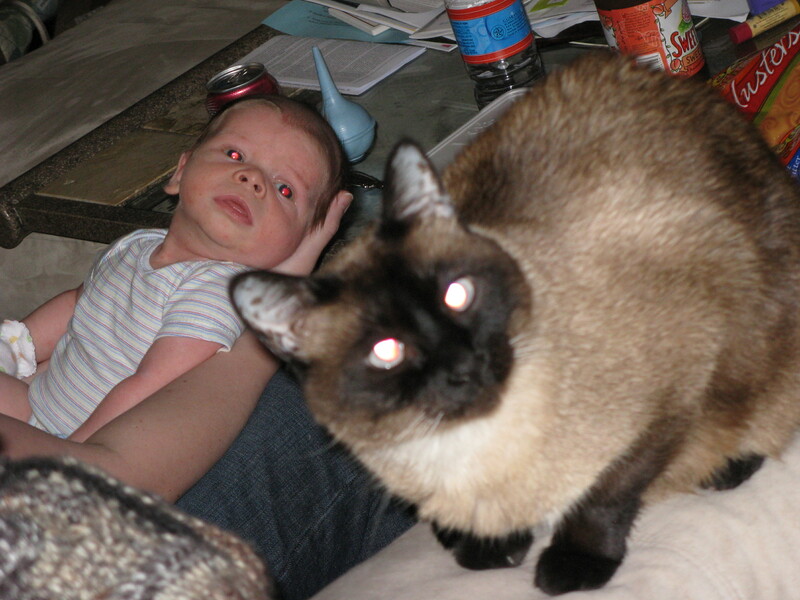 Belle with Max when he was a newborn. 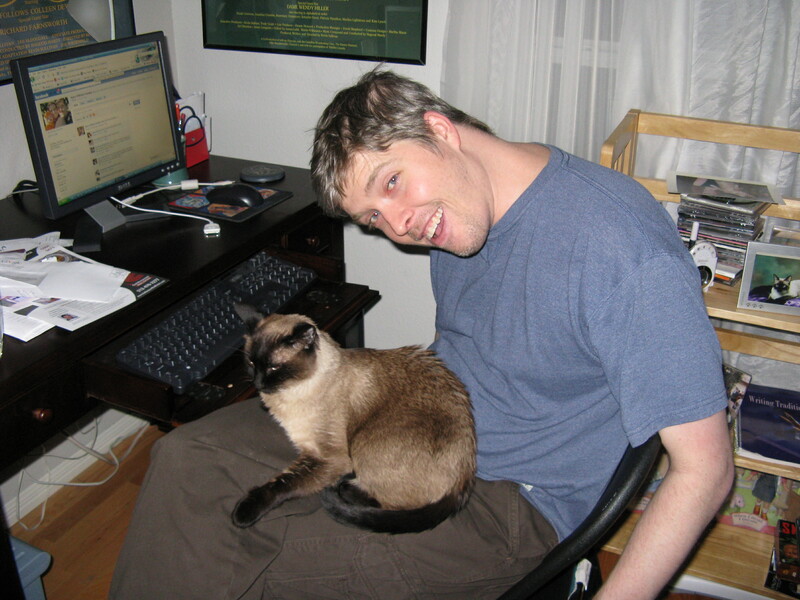 Belle and me in 2003. Belle with me three weeks before Max was born. Belle loved her kitty tree. Belle's favorite sleeping spot - the couch.